A fantastic day out, especially for a Yorkshire girl. I never thought that we would get such an amazing view right on the finishing line. 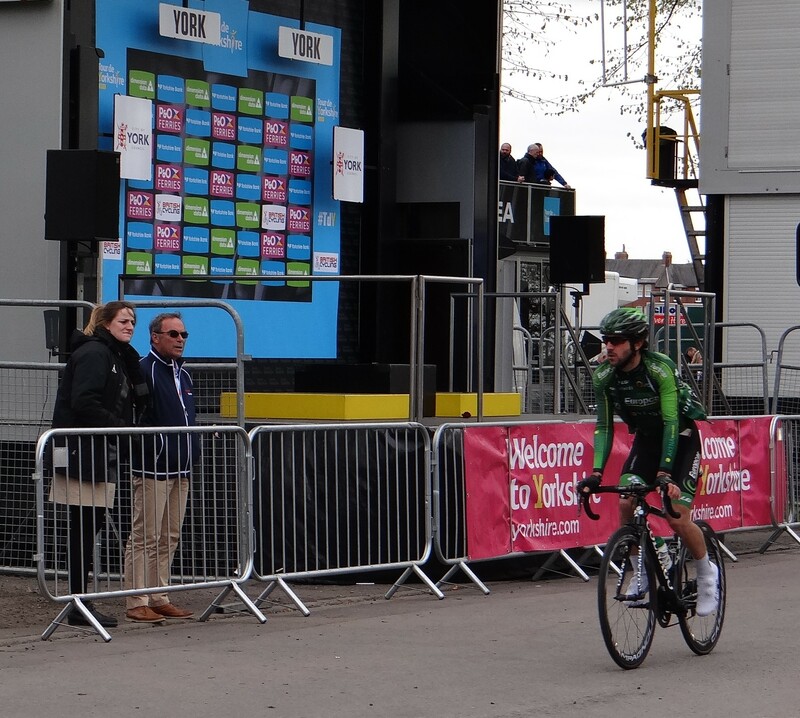 It was even better with two extra loops of York included in the race, so the excitement and adrenalin raced by three times. 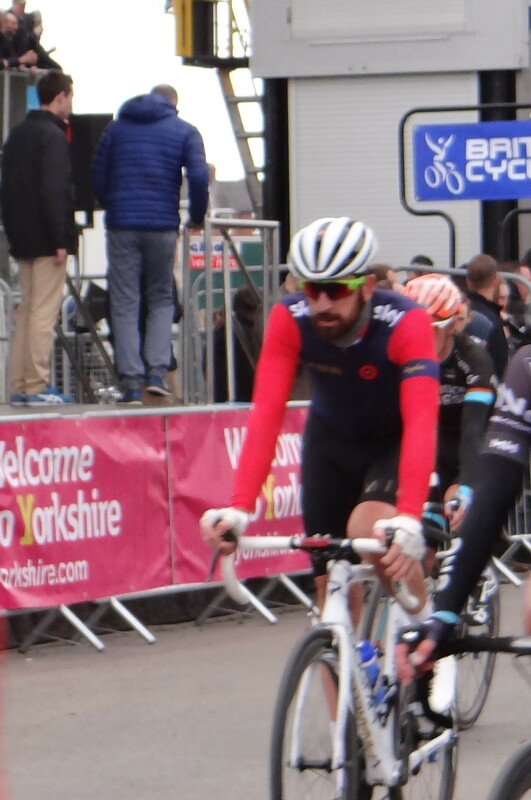 Each time I tried to see the great Sir Bradley Wiggins, in his own racing team ‘Wiggins’. 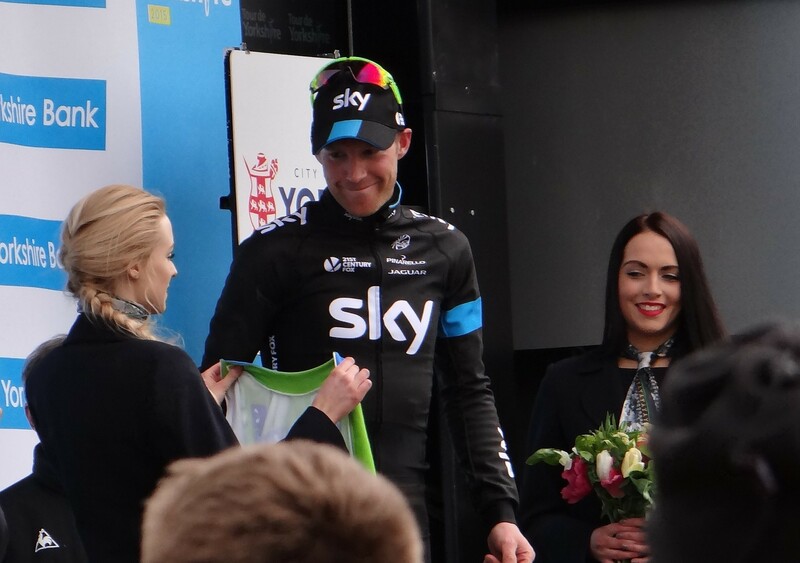 Saturday’s stage was a 174km run from Selby to York. 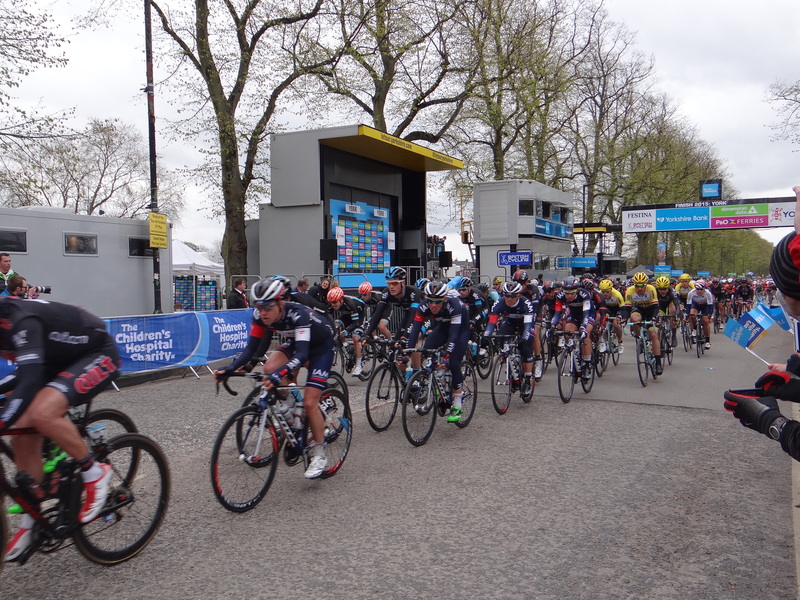 The speed that they raced by was fast and it was a fleeting moment of wind gushing cycles and colourful lycra , luckily no crashes on the finishing line. 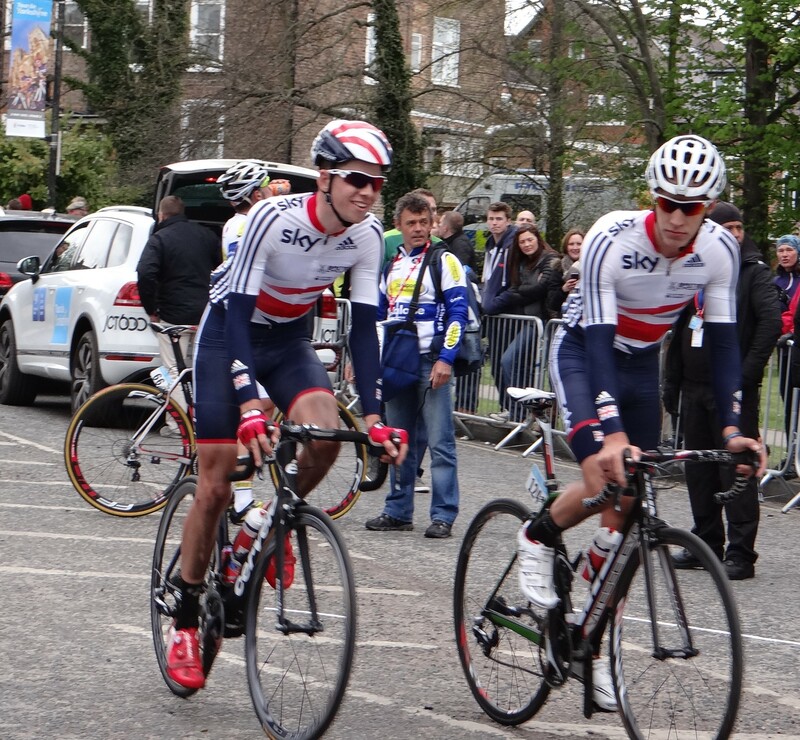 A big shame the day before that Ben Swift came a cropper on a nasty switchback. 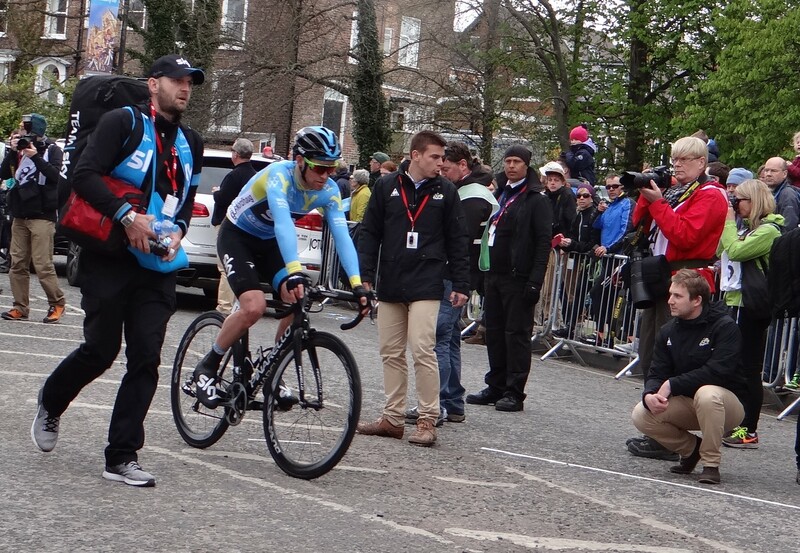 I managed to capture Brad and also watched Bernard Hinalt on the finishing line watching the race. 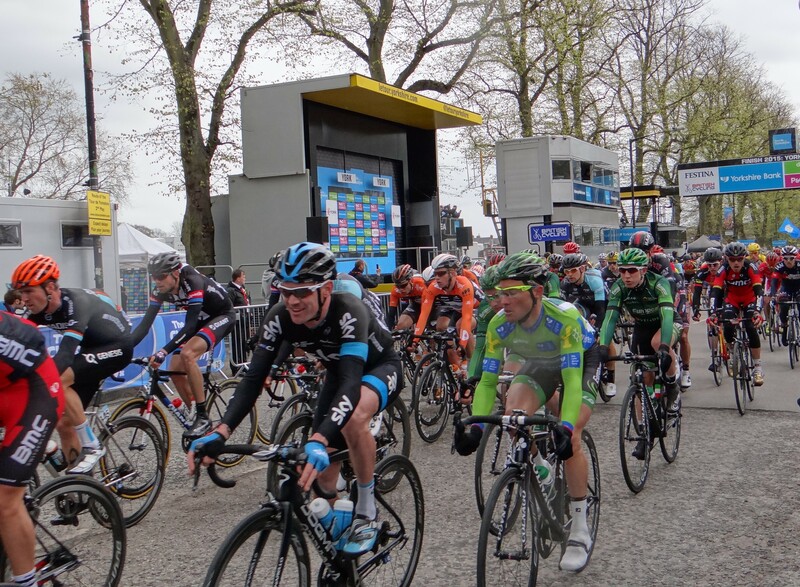 The atmosphere was electric on this cold grey day in Yorkshire the crowds went mad as the cyclists raced by. 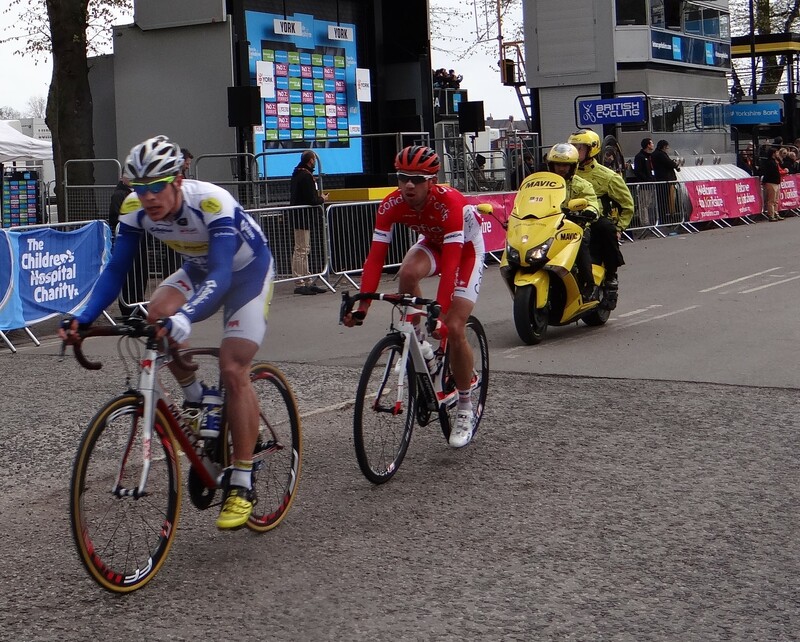 With the helicopter above we know the riders were on the last lap and heading speedily towards the line. 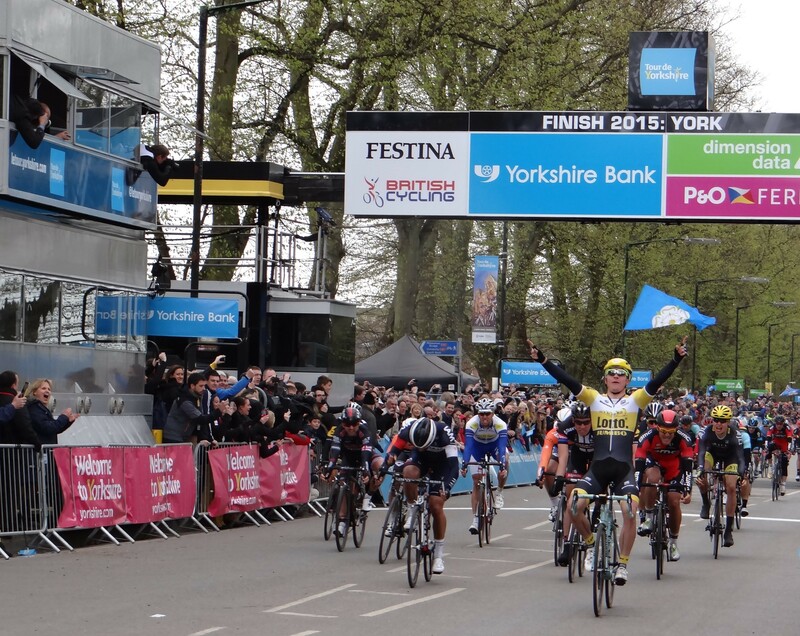 The Dutchman Moreno Hofland won stage two of the Tour de Yorkshire and Team Sky’s Lars Petter Nordhaug maintained the overall lead to wear the Blue jersey. 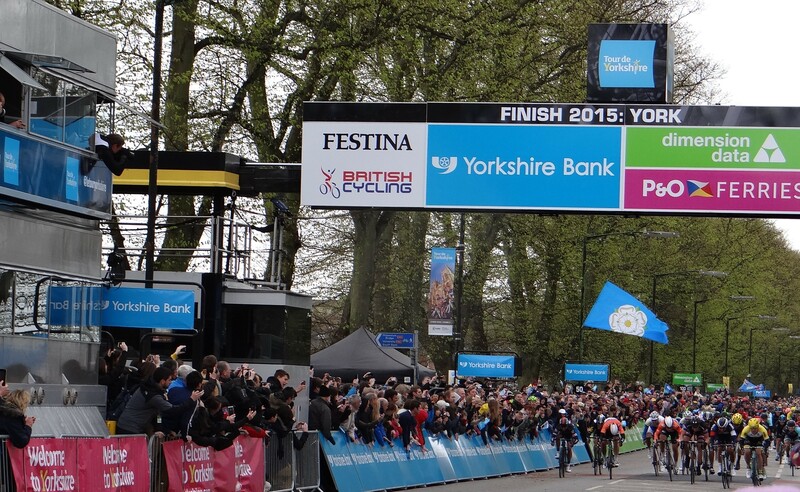 Image | This entry was posted in Cyling races, England and tagged tou de Yorkshire. Bookmark the permalink.